Worried about your smartphone privacy? Creating a truly snoop-proof phone is impossible, but Blackphone 2 is trying to get as close as possible. The newest version of Silent Circle’s security-focused smartphone is available today. 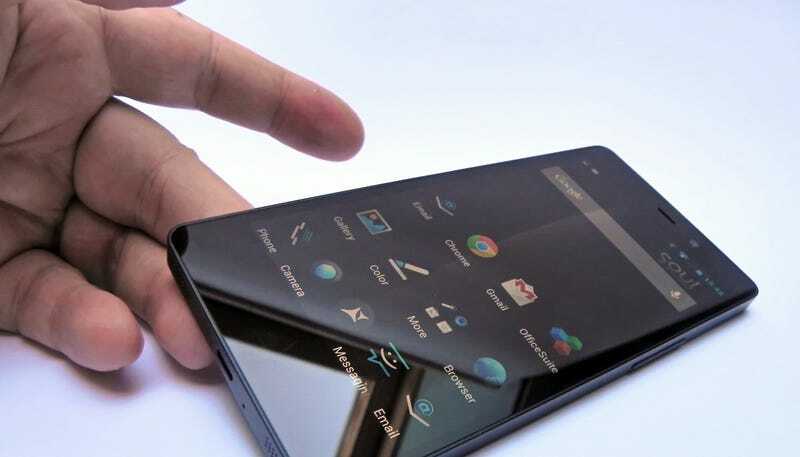 Blackphone 2 uses a special operating system designed to safeguard data. It’s encrypted, of course—Silent Circle was founded by Phil Zimmerman, the creator of PGP. The phone plugs up some of the security holes that plague other Android devices. The way it handles app permissions is smart: Instead of forcing people to accept or decline app requests for access to personal data, the phone lets you pick and choose which permissions you want to allow. The extra security sounds great, but there’s a catch. Blackphone 2 is $800, which means you’ll pay more for this unexceptional-looking Android than you will for a 64 GB iPhone 6S. Besides app permissions, you do get a respectable suite of privacy features for your money: Silent Circle’s PrivateOS 1.1 has a compartmentalized UI, putting up a virtual wall between the stuff you do when you’re working and what you do when you use the phone privately. So when you log in to your “Enterprise” account, the device treats it as completely separate from the information on your “Personal” account. You can have separate PINs or passwords, and if you want, you can create additional temporary virtual compartments on your phone. This means Blackphone 2 gives you the ability to create a virtual burner phone. Of course, if you’re in a business that requires a ton of burner phones (I don’t know your life) then the Blackphone 2 will actually be a good investment. Blackphone 2’s Silent Phone service makes encrypted calls and messages easy, and its Smart Wifi Manager prevents your phone from connecting to untrustworthy wifi. Blackphone 2 has decent but unexceptional hardware— a 5.5-inch screen, a 13 MP camera—and I’d be surprised if anyone bought it for its looks alone. But many of the privacy features should be commonplace for Android phones. It’s stupid that most other Android phones don’t offer default encryption. The price of privacy shouldn’t be so high.